Olivegrower & Processor is the region’s only specialist olive publication and is the key source of communication and information for the industry. We cover every aspect of the industry, from grove management and processing to packaging and marketing, with content targeted at current topical issues. 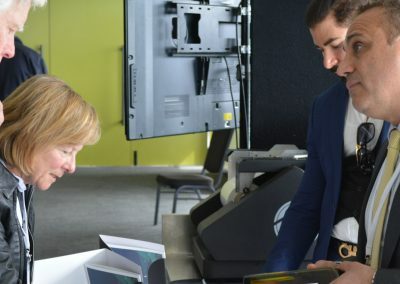 Industry-owned and led, the emphasis is on best practice management to increase quality and business viability, along with industry news, events and opportunities. Each edition also includes Hort Innovation’s quarterly update on olive industry levy-funded projects and initiatives. Published four times per year, the magazine is mailed to subscribers across the globe and is also available online for access 24/7. Booth 3. 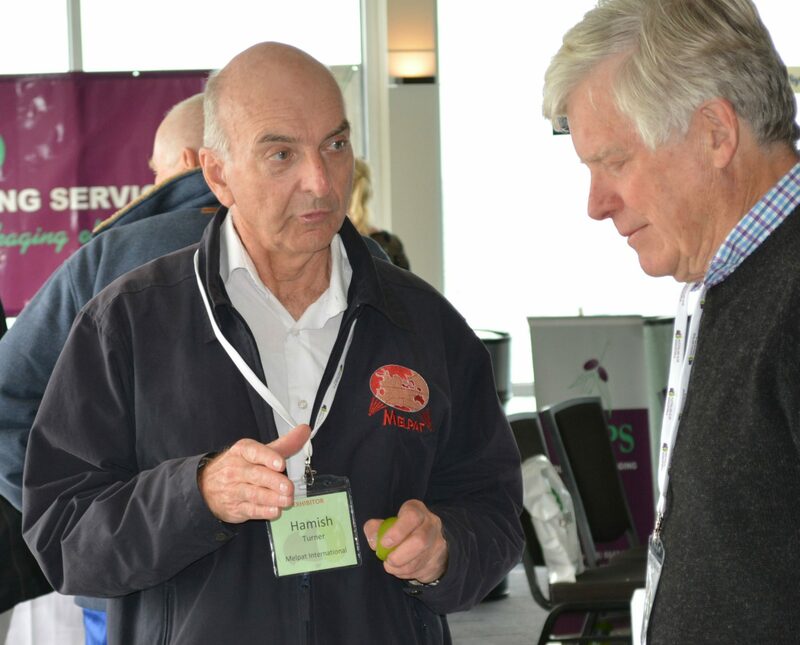 The Australian Olive Association (AOA) is the prescribed industry body representing the olive industry in Australia since 1995. 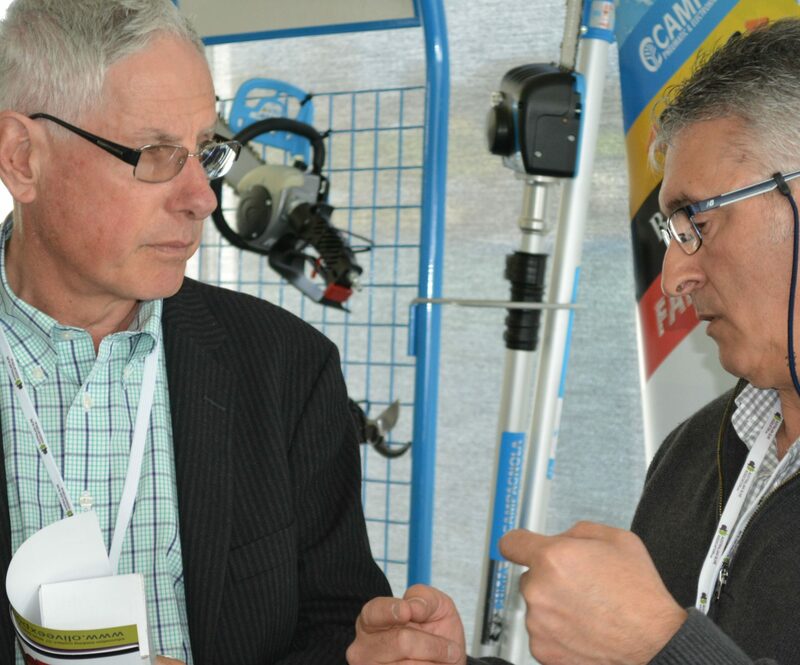 The AOA provides an extensive range of services to stakeholders including the operation and management of field days and other extension services. It has an experienced Board of Directors consisting of small, medium and large growers along with other Directors co-opted for their relevant experience and expertise. Booth 3. Bioactive Soil Solutions works with growers to improve their bottom line. As an industry leader in biological agriculture, we work with our customers to increase yields and crop quality, and cut input costs, via improved soil quality, decreased water use, increased fertiliser efficiency and maximal tree health. Startling literally from the ground up, our focus is on the end result of sustainably improving your bottom line. Contact us today to see how we can develop a program to suit your individual priorities, problems, and preferences. And improve your bottom line, naturally. Call Mike Tyrell 0402 553 235. Booth 8. CI SCIENTIFIC is an organization of industrial and laboratory instrumentation specializing in calibration, maintenance and supply. Proudly established in 1969, we believe in our Motto… “Measurement is paramount to Success”. To follow on from this, CI SCIENTIFIC branched out amongst other fields of testing shown by its loyal and trusted clients including NATA accreditation in the field of calibration; covering the scope of enclosures, meters and probes, autoclaves and hydrometer testing and more. 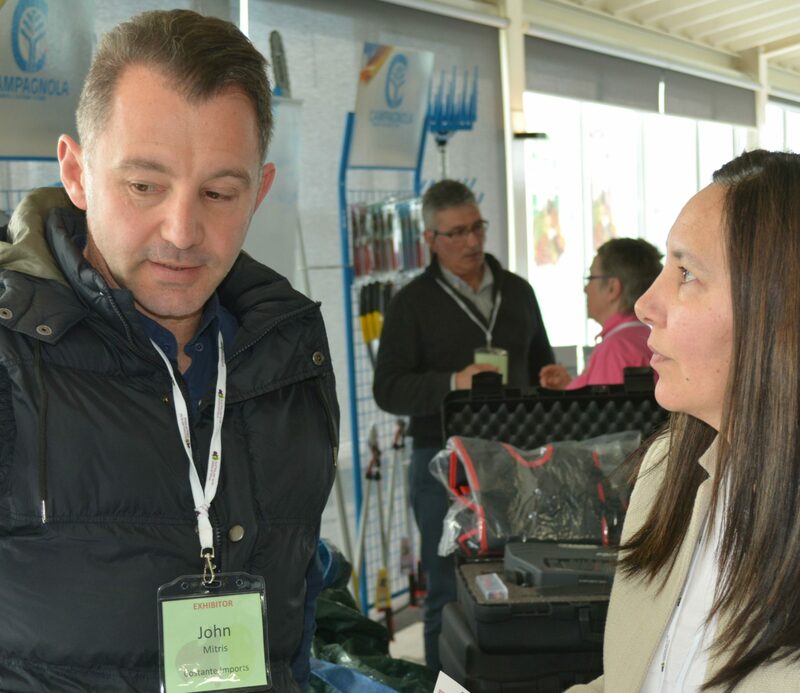 We are the agents for many products, fully supported by our factory trained staff activities and allows for the provision of tailored and comprehensive solutions to our clients. Booth 4. Deltagen Australia is proud to offer Biogras L, a high-performance, cost competitive enzyme preparation for olive oil extraction, produced in Spain by our sister company Biocon Espanol. Biogras L has been widely used in Europe, South America and Australia for many years. It is formulated to optimise pectinase activity and has residual cellulose and protease activities which are also of importance during oil extraction. Biogras L offers: improved extraction, improved separation, reduced residual oil and faster decantation. Biogras L complies with FSANZ regulations and is GM-free. Deltagen Australia is also the agent for Megazyme test kits. Contact Adrian for further information. W: www.deltagen.com.au. Booth 6. Felco Australia distributes professional quality secateurs, saws, loppers, electric pruners and accessories. The secateurs range includes left and right-handed rotating handle models for reduced cutting effort, plus models for large and small hands. The new 80cm Felco 220 loppers have a 40mm cutting capacity and feature an ingenious level system delivering up to 65% more power. The electric secateurs range comprises the powerful Felco 820 with a cutting capacity of 45mm and the new light and fast Felco 801. Ph: 1300 730 257; Web: www.felco.com.au. Booth 12. 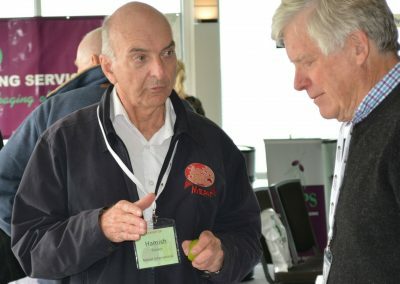 Hort Innovation is a not-for-profit, grower-owned company that delivers more than $100 million in research, development and marketing activities on behalf of Australian horticulture each year. 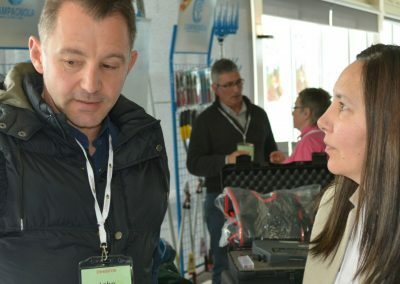 Hort Innovation’s primary function is creating value for horticulture growers and those across the horticulture supply chain. 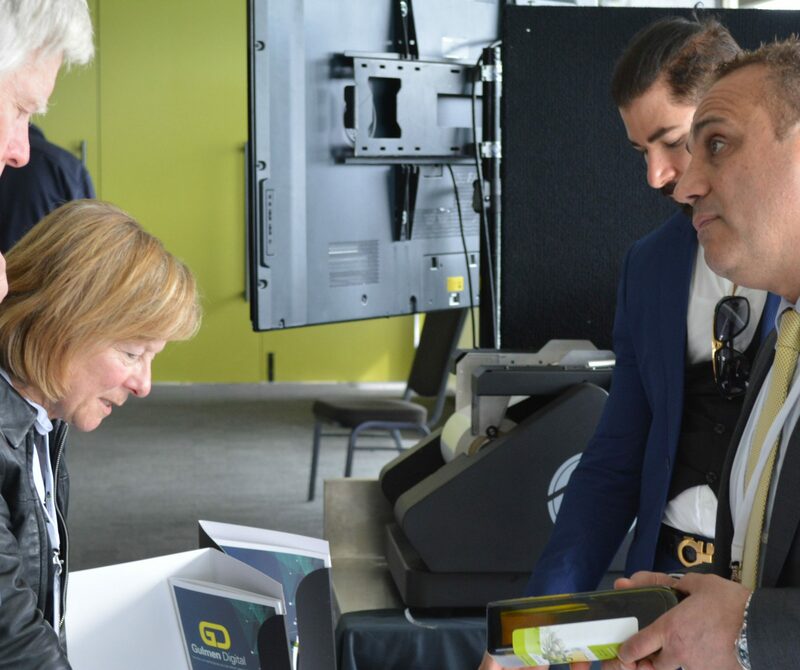 Through investment in R&D and marketing, Hort Innovation works to improve productivity, farm gate profitability and global competitiveness of Australian horticultural industries. Hort Innovation is the link between the needs of industry, the capabilities of science, and the potential of marketing. Booth 7. Modern Olives is a leading independent analytical laboratory experienced in the olive industry since 2006. Everything we do is focused on providing outstanding service to our customers as well as being a contributor and leader in the modern olive industry. Our laboratory is available to all growers, oil traders, marketers and researchers who require their olive oils, table olives or olive derivative products tested. Throughout the entire process, from planning groves to testing oil quality, our team provides professional, olive-specific technical advice. Booth 11. 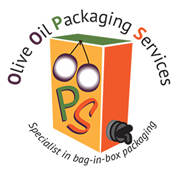 We are bag in box packaging specialists. Casks protect your olive oil from light and air and ensure that it stays as fresh as is possible. We can pack your oil for you at our factory, or we can supply everything you need to pack it yourself. We even provide the instructions, and can help with the labels for your casks. Casks come in 1, 2, & 4 litre for home use, 10 & 20 litre for food service, and 250 & 1000 litre bag in drum IBCs. Bag in box – the modern way to package olive oil. Contact us for a quote, or to find out more: Kent 0428 829 024 & Michelle 0448 965 349 – oops@aussiebroadband.com.au. Booth 9. The Olive Wellness Institute is a science repository on the nutrition, health and wellness benefits of olives and olive products, which is all subject to extensive peer review. The institute is guided by scientific experts that specialise in the nutrition, health and wellness benefits related to olive products. This website is intended to be the go to source of credible information relating to the nutrition, health and wellness benefits of olives and olive products, such as Extra Virgin Olive Oil and other products derived from the olive tree. Booth 2. Olivebiz.com.au is the industry owned website dedicated to olive industry related news and products. Together with current news, it also features the Olivegrower & Processor magazine and Friday Olive Extracts (FOE) e-newsletter and houses Hort Innovation Olive Levy R&D information and communications. 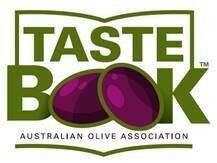 Tastebook™ is a sensory training initiative in appreciating, describing and understanding how to improve the quality of EVOO and table olives. It includes tasting of olive oils and table olives, assessing their characteristics, and providing feedback on the style, quality and uses of the sample products that aims to expose industry participants to regular sensory experiences and palate calibration for olive products, and to assist in gaining an understanding of how to achieve product excellence. If you are attending the Tastebook™ Live workshop at the conference you need to visit this booth during the morning tea sessions of day 1 or 2. Booth 13. 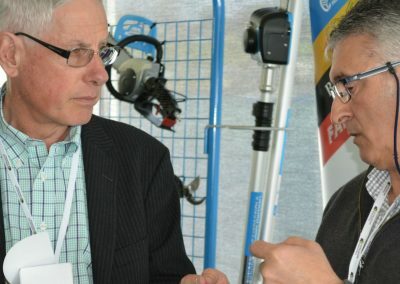 The NSW Department of Primary Industries operates an Oil Testing Service as part of the Australian Oils Research Laboratory, based in Wagga Wagga, NSW. We provide accredited testing services for olive oil quality, adulteration, and organoleptic (sensory) analysis, based on the latest technology and requirements of the International Olive Council (IOC). Our chemical testing laboratory and organoleptic panel is able to undertake competitively priced testing of oils and olives with a prompt turnaround time. Your first choice for analysis you can trust. Phone: 02 6938 1957, Email: wagga.labs@dpi.nsw.gov.au, Website: www.dpi.nsw.gov.au/labs. Booth 5. Tornado Pumps & Sprayers P/L specialise in supplying equipment and machinery for olive growers, from growing through to processing. We have been appointed as agents for the full range of Sicma (Italy) olive harvesters. We are Pieralisi (Italy) trained in sales, installation and service of olive processing equipment for QLD, NSW, ACT and VIC. Pieralisi is one of the world’s largest manufacturers of high technology olive processing equipment. Our workshop is fully equipped for your servicing needs and spare parts are readily available. Phone: 02 9824 8444. Website: www.tornadosprayers.com.au. Booth 10.